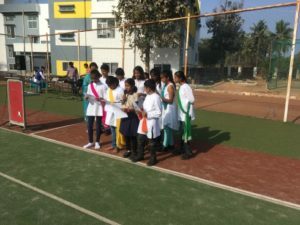 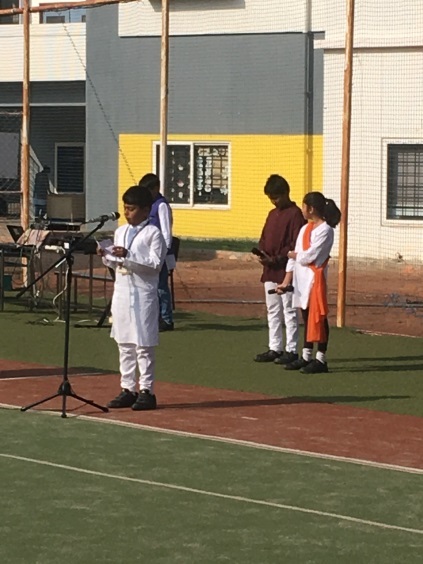 Children of Grade5 presented the special assembly on Friday 25th Jan 2019, celebrating festivals like Pongal and Makar Sankranti and Republic Day. 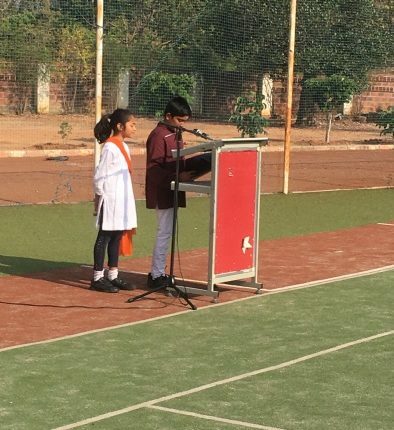 The program began with an introductory speech by Rugvid and Sumiran welcoming everyone for the special assembly. 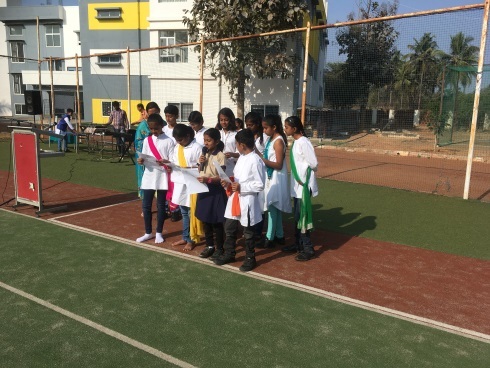 Shaina and Arunika started the programme with a speech on Republic Day in Hindi. This was followed by patriotic songs in Kannada by the singers of 5 A B C.
Chinmay then went on to speak about the importance of the festival of Pongal and more was spoken about Makar Sankranti in Kannada by few students. 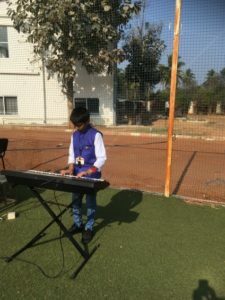 The concluding programme was a keyboard presentation of patriotic songs by Sanath which was liked and applauded by all. The special assembly ended with the National Anthem.